I had made some thalis myself, for some I tried covering the entire course. Still have some states that I was planning to make. That was some years ago and even then it was impossible to expect the entire 15 – 20 dishes to be completed in one sitting. Now I find there are hardly any takers for such an elaborate meal. 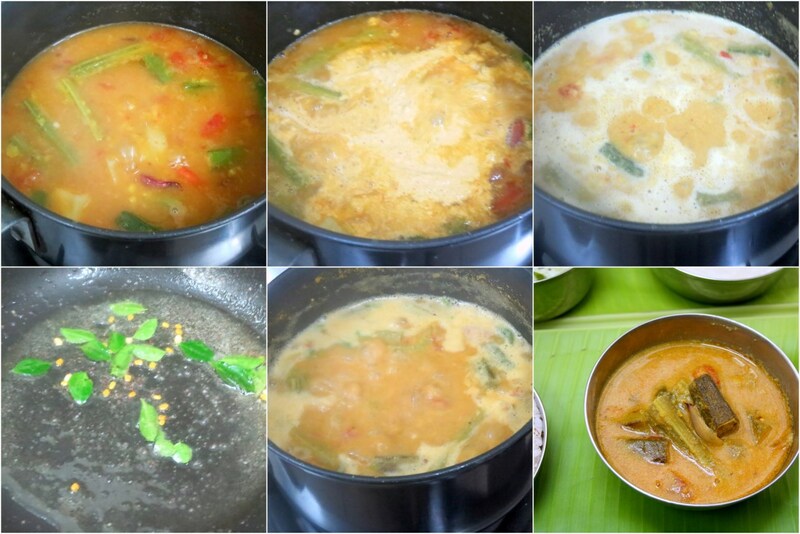 Today’s Sambar is Kerala Style made with Roasted Coconut and Spices, adapted from here. 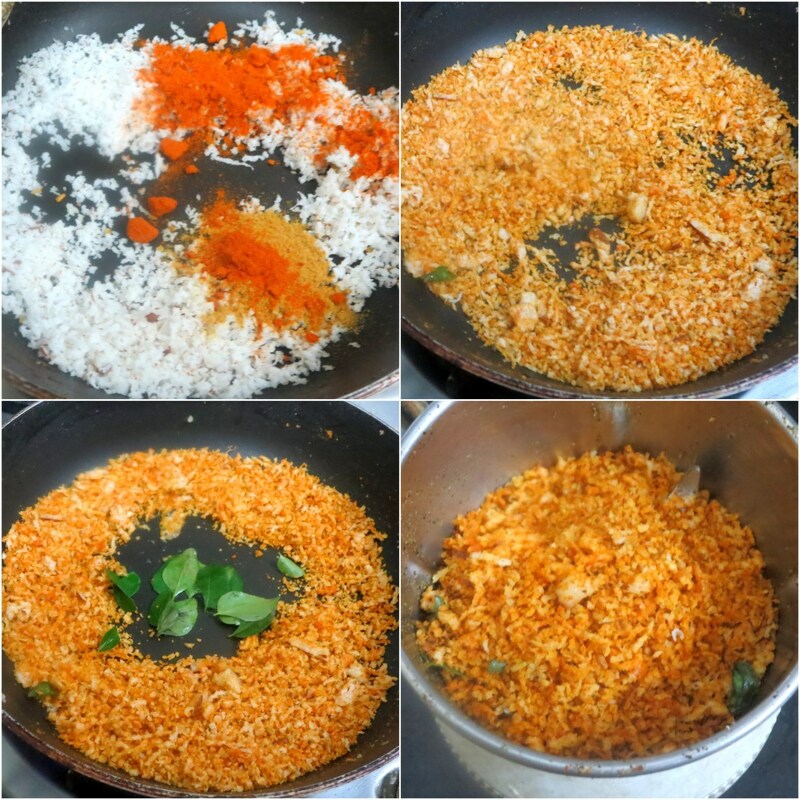 Cook for 5 – 7 mins in simmer. Such a wonderful feast you have spread there.I would love to taste every dish.Very well presented. That is a lovely spread Valli, so glad you managed to make this. Knowing your passion, I knew this would surely come from you. 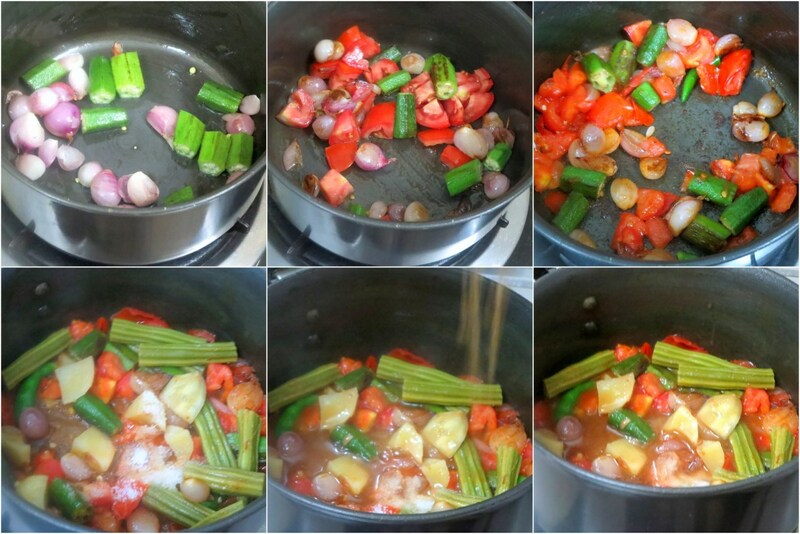 The Sambar recipe is new to me, so bookmarking, it looks very interesting and delicious. wow that should have been so flavorful and tasted awesome.. I love this sambhar ..
Valli, nice to know how sambar is prepared in different states. Sambar looks yummy and glad you could pull off a thali, and such an elaborate meal. Lovely Sadya spread. Great way to start this week. Such a wonderful spread.you have so much patient and passion to prepare this thali..Good job Valli. 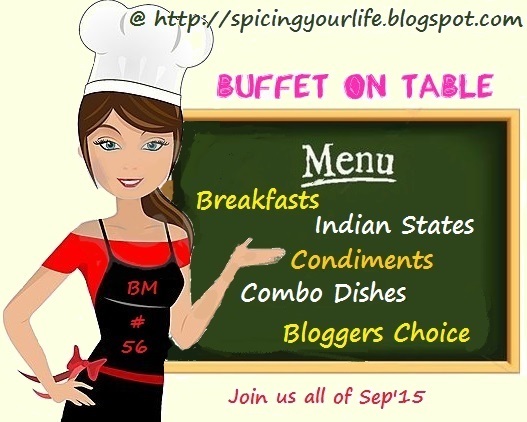 Now your effort shows in this sadya post hats off to you Valli very very tempting spread…. 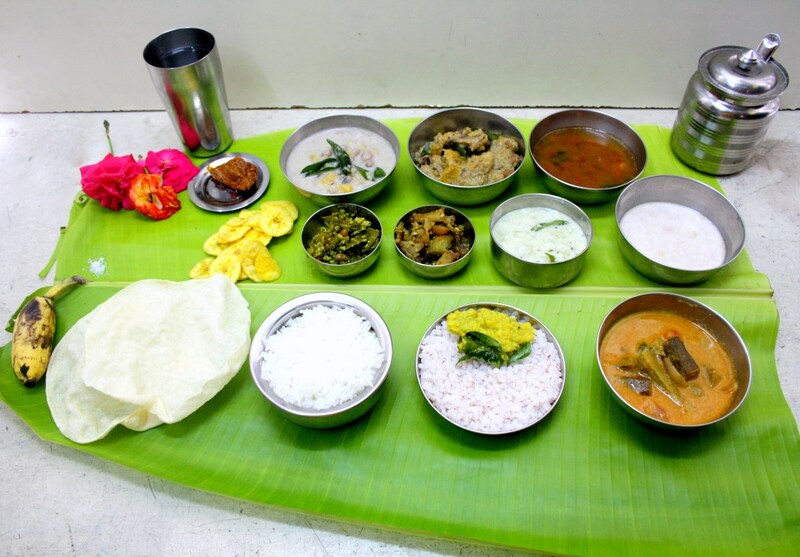 Love the spread on a banana leaf, so tempting and traditional. Wow! that is a wonderful spread, Valli. I cannot think of making such an elaborate meal. 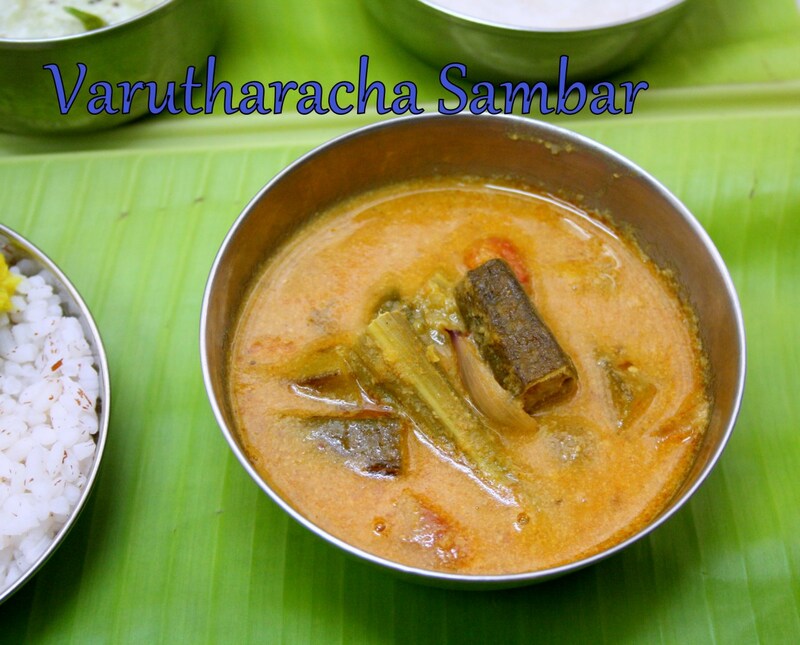 That is a delicious variation for a sambar. Bookmarked to try soon. Wow Valli this is a delicious sambhar. I know we hardly get eaters for these elaborate meals. Absolutely inviting spread. I was surely expecting this from you. Even in my house there are no takers for elaborate thalis and i stopped with single dishes.. I don't even dream of preparing thali meals at home with literally no helping hands though the idea would entice my family. And that sambhar sounds just my kind. Bookmarked. I wanted to do mini thali meals for Indian states but couldn't.The spread looks so good and the sambar must have tasted divine.